Finally, the Thanksgiving Holiday weekend is upon us. If you are like me there will be no black Friday shopping. Instead, on Friday I will be digging in my garage for the Christmas holiday decorations! This ritual always includes spending hours of box moving, dusting off the decorations, and testing all my light strings. This year I thought, why not make this your first Energy efficient Holiday? 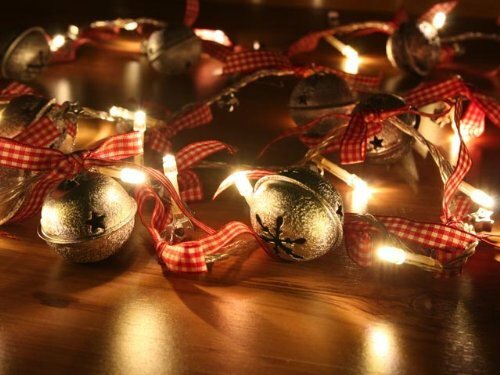 Here are a few easy tips to make your Holiday lighting more energy efficient! 1. Don’t throw away your old incandescent light strings. I suggest that you plug them into a portable dimmer (you can buy one at Home Depot or Ikea) and dim them to 75%. By putting any incandescent light on a dimmer you will extend the life of the lamp and consume less energy! 2. When you buy new lights, buy LED! If you don’t have any lights I suggest that you bypass the cheap incandescent lights and go straight to the LEDS! This year there are loads of nice-looking warm white LEDS that look just like the incandescent ones. A LED string offers about 50% energy savings and a huge life… so you can have your lights for more than 10 years! And because they are so low in wattage you can string many together, so you won’t need to add a bunch of extension cords. 3. Finally, you can conserve more energy by adding a timer. I’ve been putting my light strings on timers for years. It makes the Holiday magic super easy as well as saving you energy by limiting the time they are on. Timers are super cheap and are easy to set up. Happy Thanksgiving and have a very very very efficient Holiday season!